For many businesses, reaching new customers is a top priority. You’re eager to expand your audience, make new connections, and ultimately, grow your business. But once you gain new customers, how many of them actually come back to shop with you again? How much are you thinking about current customer satisfaction and customer retention? While a great first impression is an important step towards a long-lasting relationship, you need to go a step further to show your existing customers how important they are to you and gain their loyalty. And with loyal repeat customers spending about 300 percent more than new customers, you need to know how to retain customers and drive repeat business. Investing in customer relationships and staying in touch with them through email marketing, reinforces how important your customers are to you. And when you invest in these relationships, they’ll return the favor by shopping with you again and again. Wondering how to retain customers at your business? Follow these seven easy steps. Did you know that 91 percent of U.S. adults like to receive promotional emails from the companies they do business with? Email marketing is one of the best ways to stay in touch with new customers and a vital part of many retention strategies. But first you have to ask them to join your email list. While for that long-term relationship can seem a little intimidating at first, the most important thing to do is to articulate the value of signing up. Rather than simply asking if your customers would like to join your email list, provide an incentive they can’t refuse — like an introductory coupon, getting started guide, or timely updates from your business. Use this simple script to ask your current customers for their email addresses effectively. 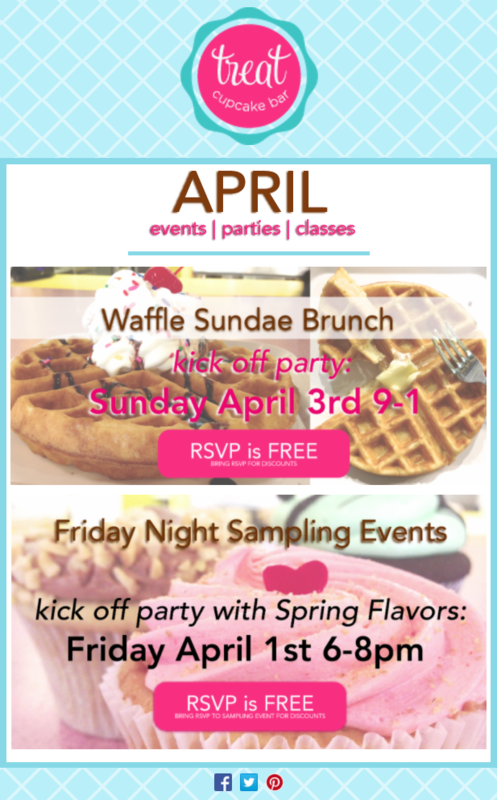 Brand new to email marketing? You can test Constant Contact free for 60 days. 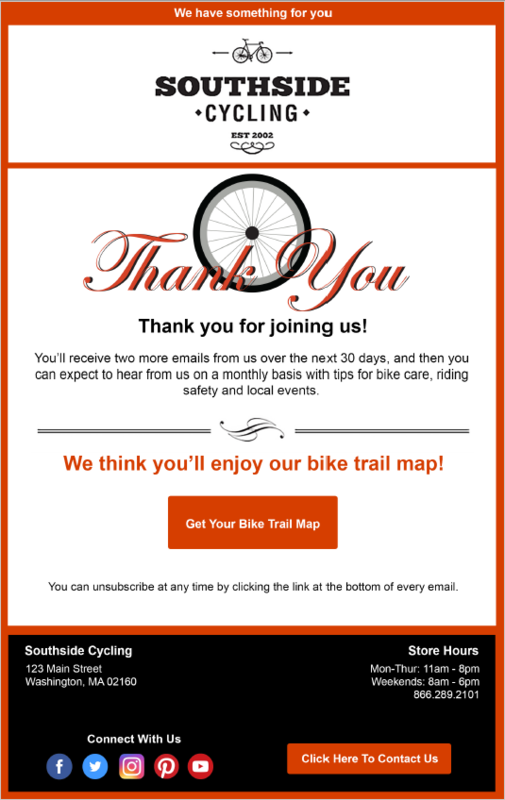 Keep the momentum going with your new customers by sending a Welcome Email. Constant Contact makes it easy for you to customize your Welcome Email with your own branding and content. Then, each time a new contact joins your list, they’ll hear from you right away. Tip: Here’s everything you need to know to create a great welcome email. Is your business active on any social media channels? After sending your initial Welcome Email, follow up with by inviting your new subscribers to connect with you on social media, as well. By connecting with new customers on multiple online channels, your new customers will quickly get to know your business better so you can build customer loyalty. Over time, as they get to know, like, and trust your business they’ll refer you to their friends, family, and peers. Promote your social media channels as part of your automated welcome series and be sure to include social media buttons in the footer of every email you send out. Now that your new and existing customers are getting to know you better, it’s time for you to learn more about them. 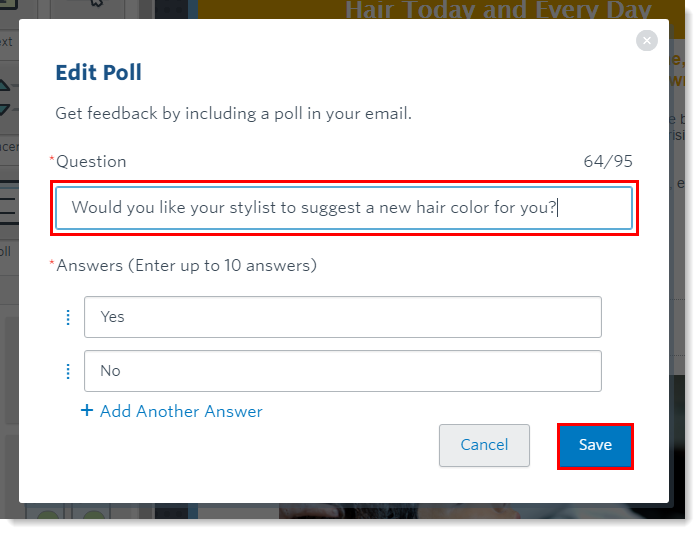 Consider adding a poll or survey to your email to learn more about what your customers’ behavior and interests. Adding a poll to your email not only increases engagement, it shows new customers that you value their opinion and are committed to offering them a great experience and great customer service. As you learn more about your new customers and what they’re looking for, use this information to send messages that are relevant to them. For example, if you own a pet shop, you can survey your customers to see if they have a cat or dog. Then, create new emails lists for “Cat Lovers” and “Dog Lovers,” so you can reach these people with product deals and information that’s tailored to their specific needs. Tip: Here are four ways you can segment your email list to get the right message to the right people. If your new customer has stayed away for a while, a tempting event can offer a great new customer experience and is a perfect motivator to bring them back to your business. Even better, your customer is likely to want to bring a friend to your event as well — introducing your business to a brand new group of potential customers. Break out your calendar and start thinking about what unique and timely event your business could organize. Whether you decide to host an open house, bring in a guest speaker, or partner with your favorite nonprofit for an event with a cause, make sure your new customers are in the know by sending an event announcement, reminder, and last chance message. Giving customers the option to register in advance will also increase the likelihood that they show up on the big day. No matter how much your new customer likes your business, people are busy. As much as they might like to return to your business, maybe they haven’t had a chance. Don’t let unengaged customers slip through the cracks! Keep track of the contacts who have not opened your last few email campaigns and re-engage them with a special offer they can’t refuse to boost your customer retention rates and customer lifetime value. You can make the intention of your email clear right within your email subject line by writing something like “Because we missed you…” This shows customers that you care about their interest and you’re making an effort to get them to re-engage with you. Now you know how to retain customers and develop long-lasting relationships. You’re ready to persuade new customers to stay connected with you through email marketing and follow-up with engaging messages that build long term success for your business.